Attorneys for jailed Columbus treasure hunter Tommy Thompson are asking a judge to release their client after a jury ruled last week Thompson should pay back investors more than 19 million dollars. Thompson has been in prison for nearly four years on a contempt of court charge for failing to disclose the location of 500 gold coins recovered from the wreck of the S.S. Central America. His attorneys argue since the coins are part of the jury's ruling, the contempt charge no longer applies. Former Columbus treasure hunter Tommy Thompson is being ordered to pay back millions of dollars to investors who bankrolled his 1988 expedition and salvage of a famous shipwreck. A Columbus treasure hunter has taken back a pledge to turn over 500 missing gold coins found in a shipwreck off the South Carolina coast. 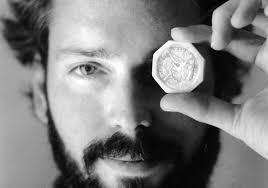 Columbus treasure hunter Tommy Thompson has agreed to turn over 500 gold coins recovered from a shipwreck off the Carolina coast decades ago. A federal district judge says an ex-treasure hunter from Columbus should remain jailed on contempt-of-court charges. A federal district judge says an ex-deep sea treasure hunter from Columbus is faking memory problems and intentionally deceiving authorities about the location of missing coins minted from gold recovered from an 1857 shipwreck. A federal judge has sentenced a former deep-sea treasure hunter from Columbus to two years in prison and fined him 250 thousand dollar for failing to appear in court three years ago to answer questions about 500 missing gold coins.